Crispy autumn weather, cozy nights in, and sweaters forever! The days are getting shorter and shorter, which means we’re spending maximum time outside in the fall leaves before heading in for a warm dinner and Netflix. Are you guys into TV dinners? I used to be fascinated with them. And, truthfully, I still kind of am, just not the ones that you microwave. 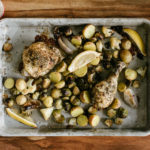 I love the idea of everything cooked on a tray (or in this case sheet pan) and ready to eat. It’s kind of like our generation’s TV dinner. You know, we like making authentic food from scratch and binge watching a whole season in one day, not microwaved dinners and commercials that you can’t skip. Hashtag: #imadethis! 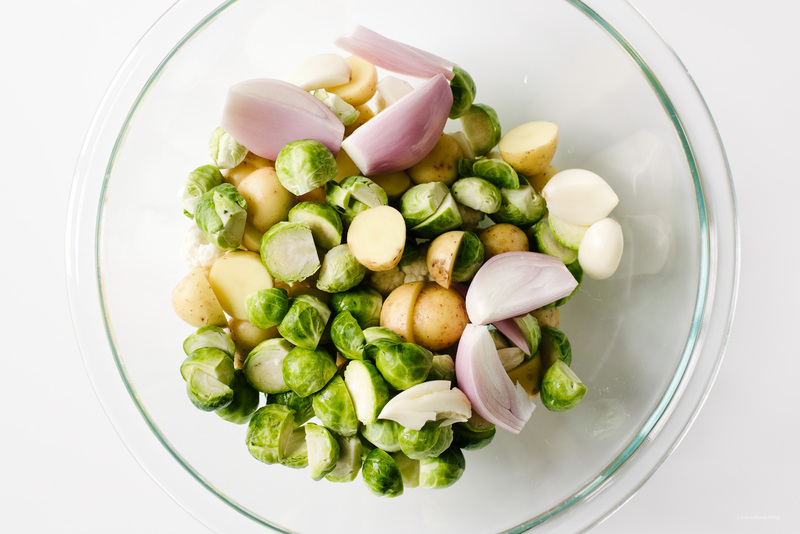 This dinner is super simple but a little lux too because it has all my favorite vegetables and lots of herbs. I’m not the greatest at growing herbs so when I spotted McCormick’s cute little Herb Grinders, I was all over them. They’re kinda like old school dried herbs, but you can grind them per use to release maximum herbiness and oils. 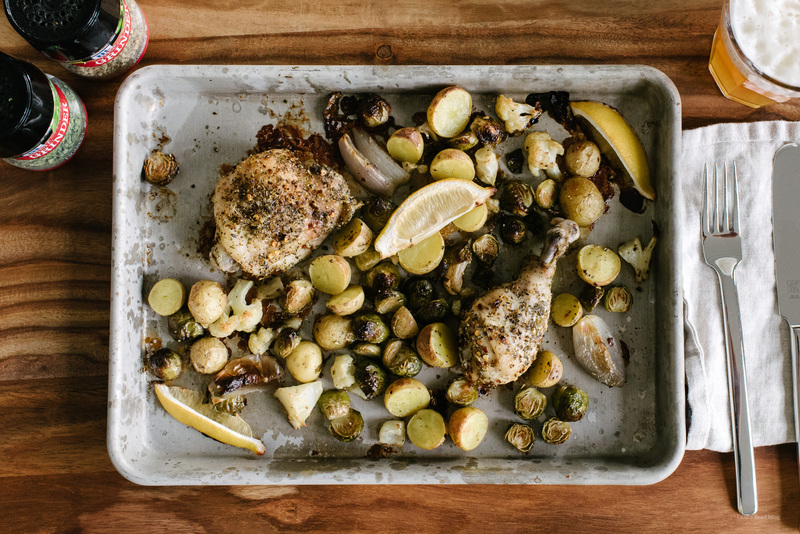 Wishing you guys a cozy sheet pan supper and Netflix night! Whisk together the olive oil with the basil, oregano, fennel seeds, and crushed red pepper. Toss chicken in to coat. If you have the time, let marinate for 30 minutes. 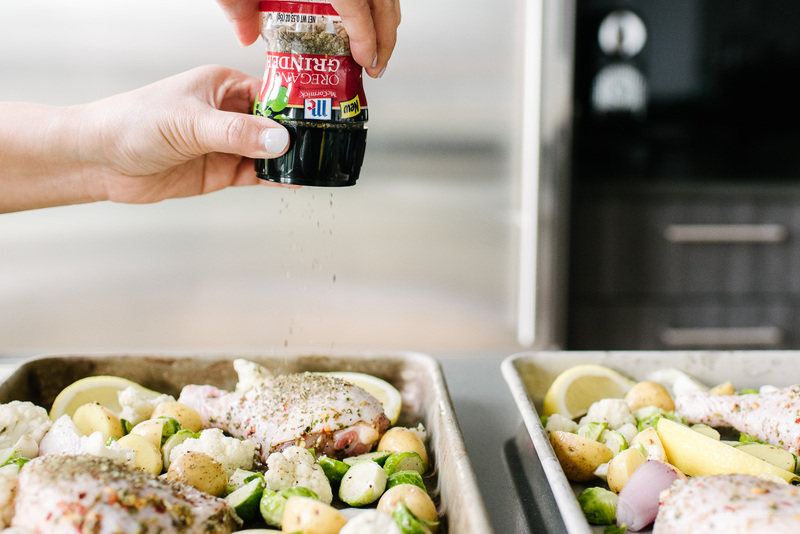 Prep your vegetables while the chicken is marinating and the oven is heating. Make sure you keep all of the vegetables around the same size so they all cook at the same rate. Toss in a bit of oil and season generously with salt and pepper. Bake, for 35-45 minutes or until the chicken is cooked through and the vegetables are tender. To crisp up the chicken skin, turn the broiler on for a couple of minutes, keeping an eye on the oven. Remove and enjoy! This post was in partnership with McCormick. 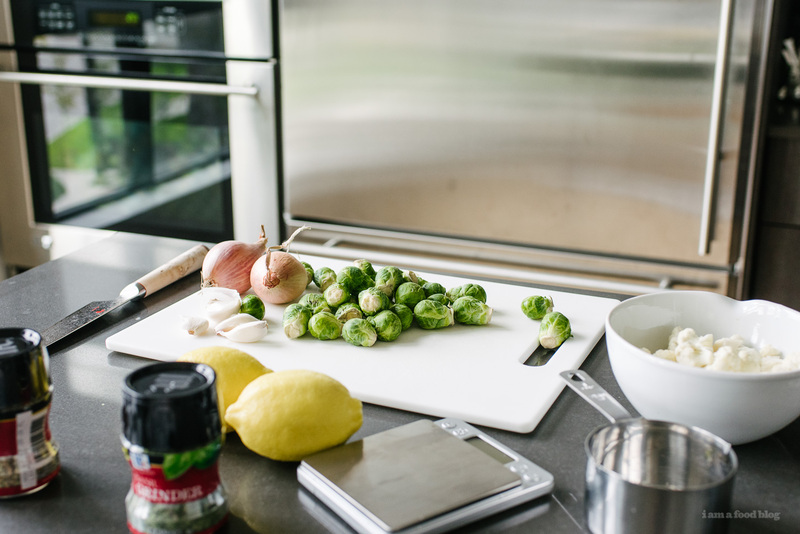 To learn more about the new McCormick Herb Grinders and some simple recipes to put them to use, click here! This post was sponsored by McCormick. Thanks for supporting I am a Food Blog! This looks so yummy and I love how easy it is. Anything that gets me on the sofa watching Netflix quicker is a win for me! 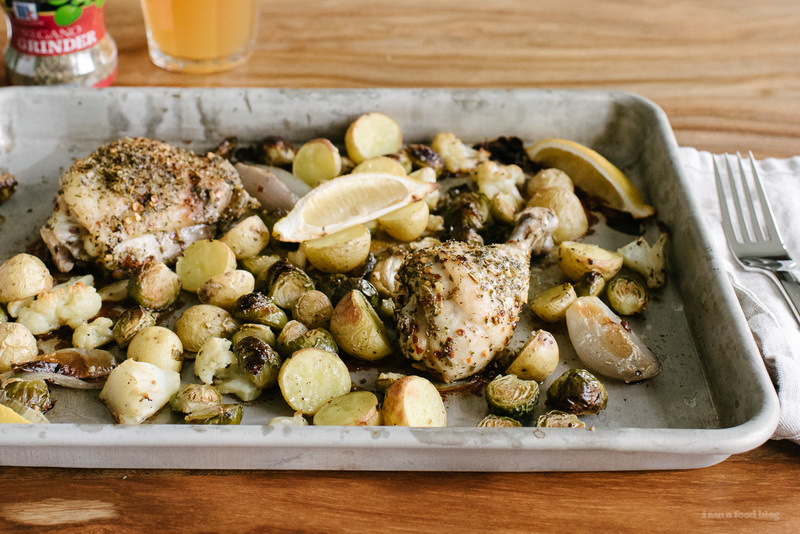 Oh yes indeed, this looks so great – looking forward to a sheet pan supper! i looove sheet pan dinners because LAZINESS. This looks yum.